News media is not lacking in labor issues. From complaints of harassment to union breaking to straight-up discrimination, some major sources of journalism have often turned blind eyes and deaf ears to internal problems. But, even some is too many. Brittany Noble was a news anchor and reporter for WJTV out of Jackson, MS, until her unceremonious firing over what the station calls “excessive absenteeism”. She has since gone on record with accounts of racial and even gender bias, painting a picture of a victim of policies unfairly skewed against her very being. Even after going through with and following the best possible employee complaint actions, she was terminated from her position. Noble filed reports with the EEOC (Equal Employment Opportunity Commission) and engaged in multiple talks to supervisors and managers, but to no avail. 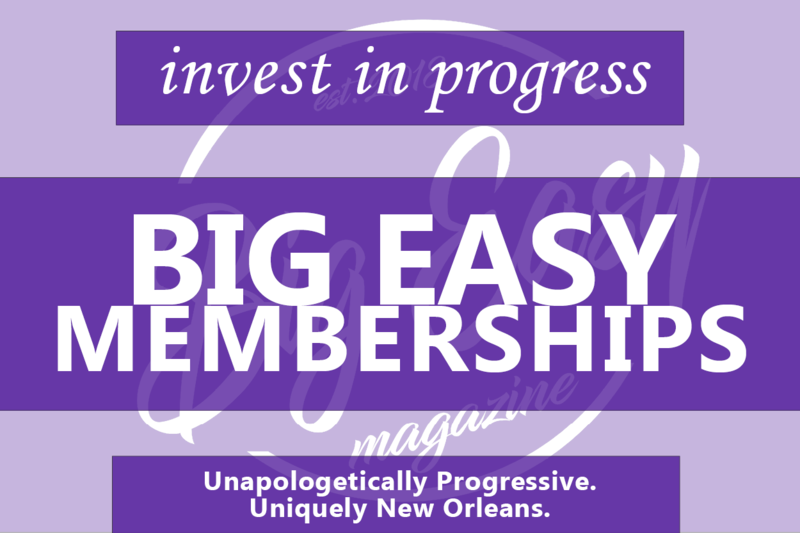 In preparing this interview, we at Big Easy Magazine wanted to find a fuller picture of what was going down at the station during her time. Was it really all over her pregnancy and choice of natural hairstyle, as Noble claims? It should be noted that a current reporter, Candace Coleman, wears her hair in the way that Brittany says she got in trouble over. Bill Arceneaux: How have the reactions been for you since the story of your firing broke? Brittany Noble: I’m still in shock.I wrote my book this summer and I couldn’t find a publisher. They told me no one cared about my story. That is why I finally began releasing excerpts of my writing. I have so much that I want to say about the media, but I know that could likely leave me without a job. That is the scary part. I fear news corporations no longer want to put me on air because of my look and my push to share content about black and brown people. I struggle with wanting to work in corporate or starting my own platform. BA: In this 24/7 news cycle, where social media has helped make secrets public, why do you think businesses still practice in discrimination? BN: Businesses get away with discrimination all the time. It hard to speak up because you could be without a job like me. WJTV lacked perspective about how their comments regarding my black hair would make me feel. I think for a company like Nexstar, it’s easier to sweep issues under the rug instead of dealing with them and creating sustainable change. I asked to speak with WJTV and Nexstar so many times. I wanted to work with them, but it got to a point that no one wanted to deal with me. I knew this was because of my complaints. BA: Your Medium post outlines not just potential racial issues at WJTV, but also gender ones related to your pregnancy. Do you feel that either was more potent than the other coming from your former employer? BN: I faced issues as a mother and a black woman but I also had a hard time being the youngest main anchor. The others were about 20 years older than me. I think my boss had a hard time respecting me. I am an educated YOUNG black mother who constantly stood up for herself in the newsroom. I think it was too much for him to handle. BA: Have there been hints of further problems with other anchors and reporters, like Candace Coleman for example? BN: I am speaking out about my own story, but I am very proud of my Alpha Kappa Alpha Sorority sister. She is an incredibly talented journalist working as a main anchor in her hometown. This is a major win for the community especially the Jackson Public School District where she graduated. BA: How do you plan on moving forward at The Noble Journalist? 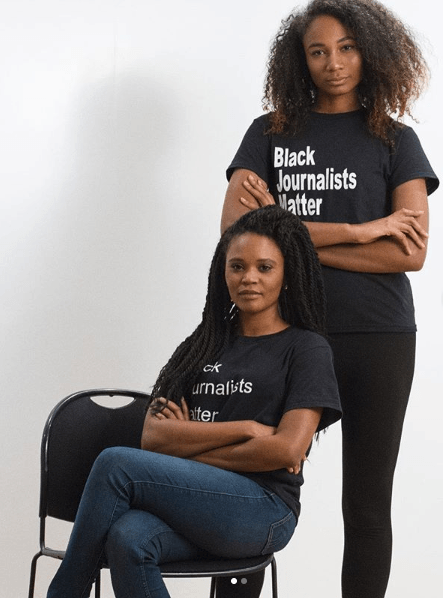 BN: I think it’s time o find a space to talk about some of the untold stories that journalists of color have a hard time sharing in local news. My research suggests many local tv news stations were created in the ’50s and ’60s and we need to find a better way to make sure the news reflects the community so that we can all make educated decisions. We’ll continue to cover this story as it develops. If you’ve been the victim of workplace discrimination of unfair labor practices in news media or been witness to such acts, please do drop us a line. Bill Arceneaux is the lead content writer for Big Easy Magazine. In addition, he has been an independent film critic in the New Orleans area since 2011, working with outlets like Film Threat, DIG Baton Rouge, Crosstown Conversations, and Occupy. He is a member of the Southeastern Film Critics Association and is Rotten Tomatoes approved. Is “toxic masculinity” real, or just an attack on men?